I had mixed two different stones for my family's aquarim. The cheap one makes powder and was made by cracking. This makes the aquarium cloudy. 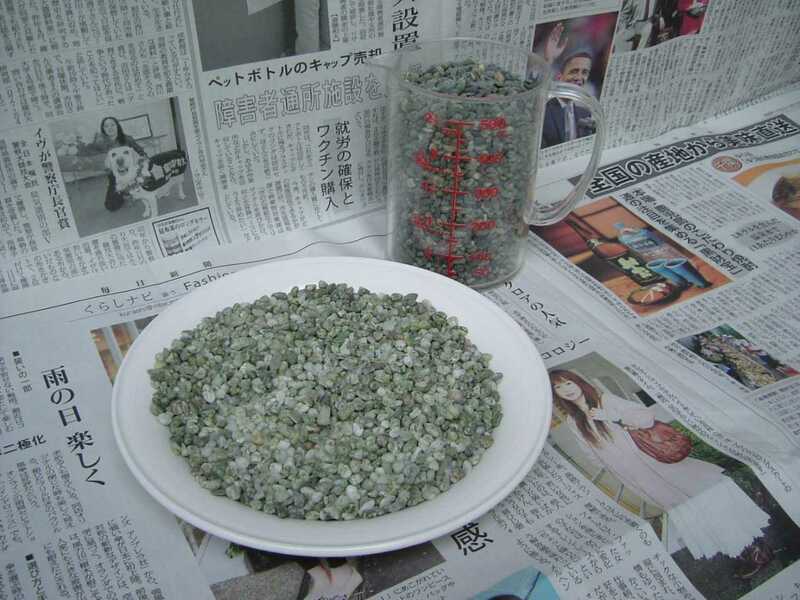 My wife helped me separate no use calcareous stone which were 900mL. I got 800mL of rigid stone. 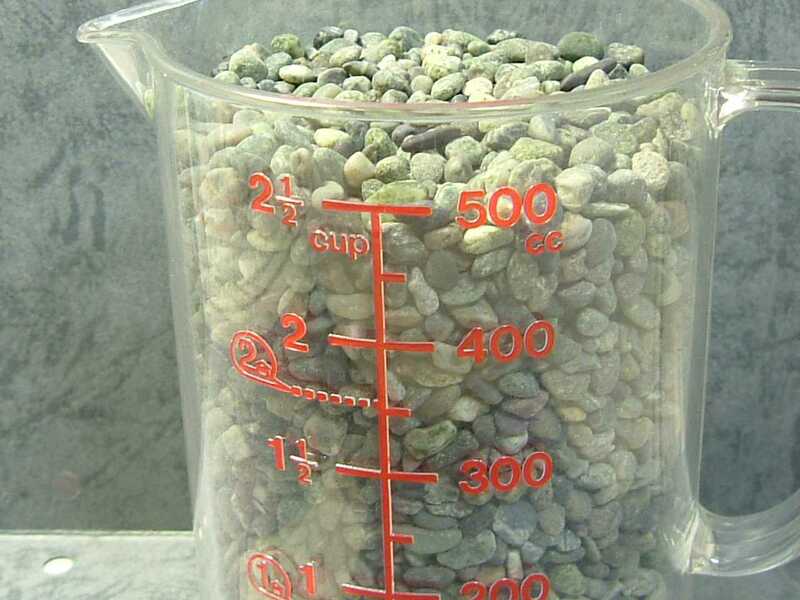 I wanted to know the differrence of density between two stones. I used a home use weight scale and measuremnt cup which weighs 103g. I also used a 35mm film case for camrera to measure. The result is as follows. The fragile calcreous stone is lighter 5% than dark rigid stone. And if we use a 35mm film case for measuremnt of stone density, The error may be 1%. The volume of the film case is about 32mL. The photo shows dark rigid stone in the measurement cup. I found the measurement cup dusty. I guess the dust or powder is from calcareous stone. I doubt the powder sticks filters, and the powder is a cause of stints of aquarium tank. I also separated mable stone from rigid stones. The another photo shows marble stone in a plate. There is no shinning gloss.